HomeGrown Local Food Summit: Keynote for Local Food Summit 2013: Malik Yakini! Keynote for Local Food Summit 2013: Malik Yakini! The Local Food Summit 2013 planning committee is pleased to announce that Malik Yakini will be giving a morning keynote at this year's summit. Malik Yakini, among many things, is a recipient of the James Beard Foundation Leadership Award and Executive Director of the Detroit Black Community Food Security Network. 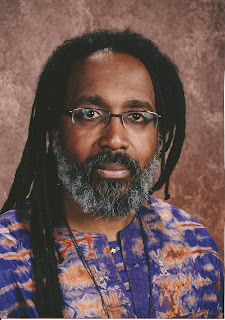 Malik Kenyatta Yakini is an activist and educator who is committed to freedom and justice for African people in particular and humanity in general. Yakini is a founder and the Executive Director of the Detroit Black Community Food Security Network, which operates a seven acre farm in Detroit. DBCFSN also spearheaded efforts to establish the Detroit Food Policy Council, which Yakini chaired from December 2009 – May 2012. He served as a member of the Michigan Food Policy Council from 2008 - 2010. He serves on the steering committee of Undoing Racism in the Detroit Food System. From 1990 – 2011 he served as Executive Director of Nsoroma Institute Public School Academy, one of Detroit’s leading African-centered schools. In 2006 he was honored as “Administrator of the Year” by the Michigan Association of Public School Academies. He served as a member of the Board of Directors of Timbuktu Academy of Science and Technology from 2004 - 2011. He is C.E.O. of Black Star Educational Management. He is dedicated to working to identify and alleviate the impact of racism and white privilege on the food system. He has an intense interest in contributing to the development of an international food sovereignty movement that embraces Blacks farmers in the Americas, the Caribbean and Africa. He views the “good food revolution” as part of the larger movement for freedom, justice and equality. Yakini has presented at numerous local community meetings and national conferences on food justice and implementing community food security practices. He is featured in the book "Blacks Living Green," and the movie “Urban Roots.” He is currently an Institute for Agriculture and Trade Policy “Food and Community Fellow”. He is a vegan and an avid organic grower. How would you define a fair food system? Check out this delicious menu!